We have a deep appreciation for the vital role of the men and women serving our country and our communities in the Military. 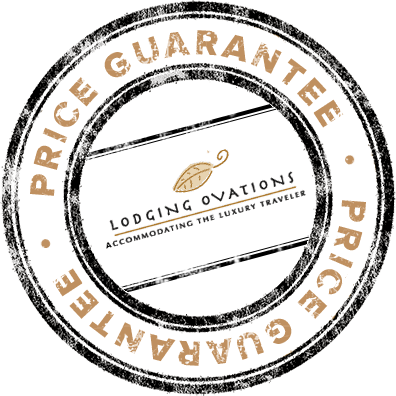 Lodging Ovations is pleased to offer exclusive lodging rates starting from $99 CAD per night as a small way of saying thanks. However you like to spend your well-deserved time off, no place offers more amazing choices than North America’s largest and most celebrated ski resort. Lodging Ovations located in Whistler Creekside proudly represents three all suite properties Legends, First Tracks Lodge and Evolution. Whistler Creekside offers shops, restaurants, a grocery store, a liquor store, coffee shops, Can-Ski retail and rental shop, guest relations and direct access up Whistler Mountain via the Creekside Gondola. Don't wait. Book your lodging now. Legends is a condominium style hotel, located ski-in/ski-out at the base of the Whistler Mountain, just steps from the Creekside Gondola. Legends is ideal families and couples looking for a quieter alternative to Whistler Village. Offering one, two and three bedroom suites, all with full kitchens, dining areas, living areas, private balconies, gas fireplaces and in suite washer and dryers. First Tracks Lodge is a unique collection of designer suites that blend unparalleled luxury with an inspired location. A true ski in/ski out property, set at the base of Whistler Mountain. First Tracks Lodge suites range from one to four bedrooms, with gourmet kitchens, spacious living areas, gas fireplaces and private balconies. Evolution is a slope side mountain lodge on the outside and modern sanctuary on the inside! Evolution's suites range from one to three bedrooms, with open floor plans that create versatile living spaces, perfect for both relaxing with family and entertaining friends. All suites feature fully equipped kitchens, living areas and dining areas, gas fireplaces, private balconies and in suite washer and dryers. Eligible military branches include anyone currently serving in, or veterans of, the U.S. Army and Army Reserve, Army National Guard, U.S. Navy and Navy Reserves, U.S. Air Force and Air Force Reserve, Air National Guard, Marine Corps and Marine Corps Reserve, Coast Guard and Coast Guard Reserve, Canadian Armed Forces (CAF) members (Regular and Reserve Force), Australia Defence Force (ADF) including members of the Royal Australian Navy (RAN), Australian Army, and Royal Australian Army (RAAF) – active and reservists. All promotions are subject to availability and may change without notice. Minimum night stays, blackout periods and other restrictions may apply. Other packages available throughout the season, please inquire for details. Parking fees not included in room pricing and will be charged upon check-out. Check Whistler Blackcomb Mountain Operations for full dates of access up Whistler Mountain via the Creekside Gondola.